I went on a Christmas holiday with my big family and we loved staying here! 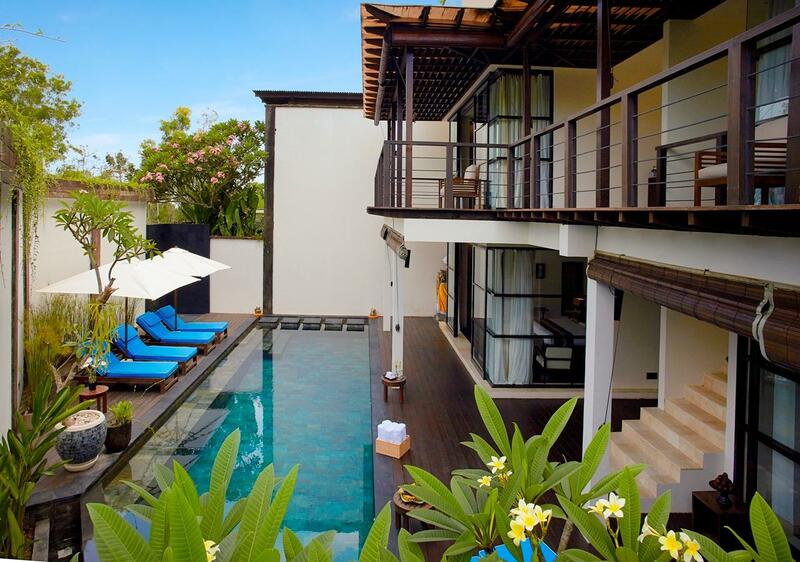 From the staff's hospitality to the stunning pool, the villa is amazing! Can't wait to come back soon and experience the 5 star accomodation with my friends! 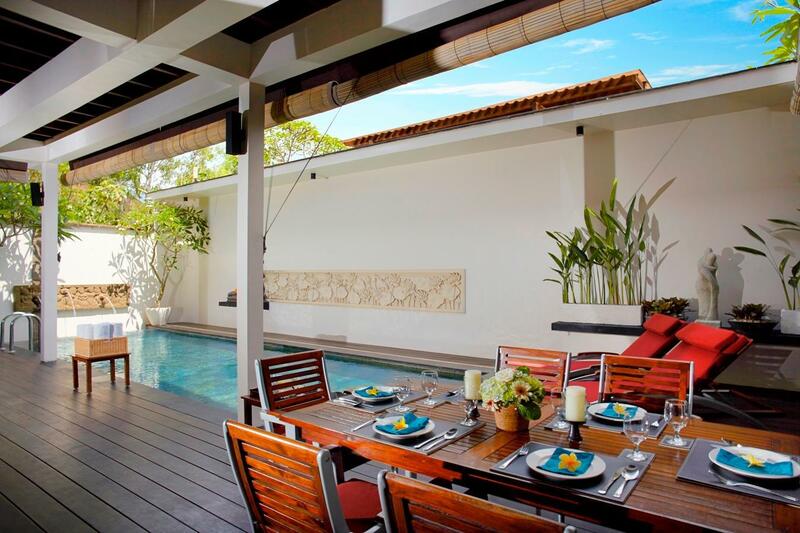 Located in Jimbaran Bay and featuring a large size villa area to relax in. We were impressed with the staff performance and also comfort of the beds. The pool size was also a nice surprise. Highly recommended! Great stay - a relaxing "Home away from Home". Service was excellent and the family really enjoyed themselves. The inhouse breakfasts were a highlight and you have the dining room all set up by the staff and the dishes taken care of! Poolside massages come highly recommended. Thanks for a wonderful stay Temple Hill. Room comfort, Staff service is amazing, BBQ by the poolside. This is an amazing experience with 2 house keeper taking care of your needs almost 24hrs everyday. In the morning, they will make breakfast for u, after that they will tidy up the whole place, including all the rooms & the pool. At night we ordered a poolside BBQ, they actually decorated the place so nice that my wife simply loves it. Overall a marvelous & unforgettable visit to Bali. 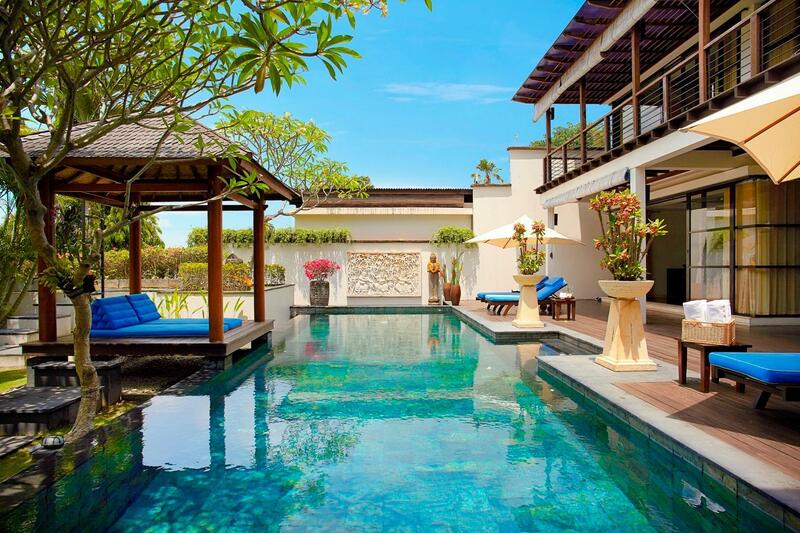 We had an amazing experience at the relaxing villa. We being a mixed group with family members from an infant to elderly, Villa and the staff served our needs very well. Especially Iin, caretaker Made and Operations manager Anna made us feel just like a home away from home. They catered to our every request from great breakfast n other food , baby care arrangements to planning customized sight seeing tours, with a pleasant smile on the face, always!! Overall an amazing stay to make it Perfect holidays. It is slightly away from beach ( about 10-15 minutes) but Villa's on-request free shuttle service to Jimbaran beach is very convenient. We spend two weeks (our Honeymoon) @Temple Hill Villa and we loved it. The villa is perfectly located, you only need 10 minutes to the beach and could reach everything (ATM, Supermarket, etc) by foot. 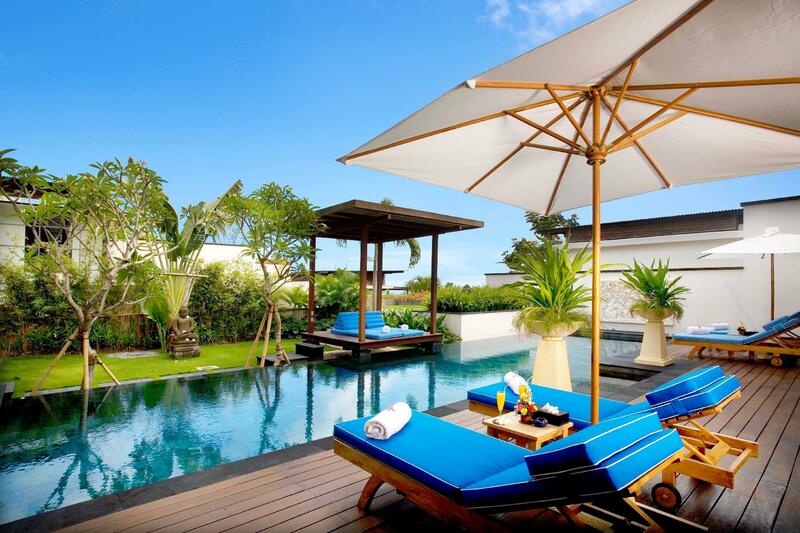 The residence offers for all locations in jimbaran a free transfer-service (e.g. the fish market) and also for every other location on the island (e.g. Ubut, Vulcano, Uluwatu Temple, ...) a fair-price transfer. Freshly made breakfast every morning, two times a day clean-up and very friendly and supporting team at the reception. We loved our stay and it felt after two weeks nearly like leaving home. We will be back and could recommend 100% the Temple Hill Villa Resisence. Thx for that perfect holiday. We booked two-bedroom villa and got upgraded to four-bedroom villa! WOW! 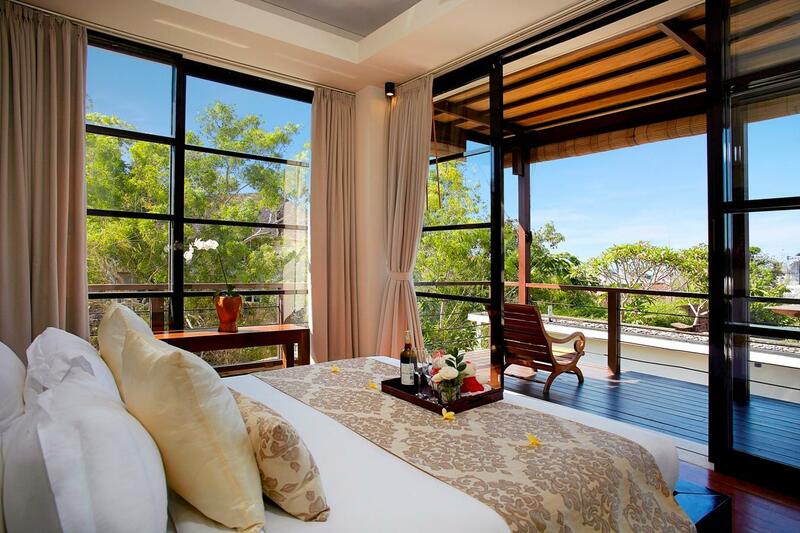 The house is really beautiful and get a little view of the sea upstairs. Pool is amazing!!! Defintiely love it!! Staff is helpful and very friendly. There is free transportation can take you everywhere in Jimbaran, only need to have a reservation beforehand. There is a small number of restaurants locating on the ohter side of road. The choices are a little bit limited, but location is relatively convenient. One thing to mention, there are many insects get into the toliet through window, which makes me and my friends suffering when having shower. Hope the hotel can build better windows to keep insects out. We lived in the biggest 4 bed room villa with swimming pool, two bed massage room, big kitchen, two living rooms and gym room all inside the private villa. Thus, we loved to stay in the villa for more time to enjoy the facilities and we called many times massage therapist to serve us. It was an incredible experience. Besides, the staff were very helpful and nice. They offered free transportation to/from airport and inside Jimbaran. Thus, transportation was excellent. If we went outside Jimbaran, staff called BlueBird Taxi for us, avoiding some cheating taxi on the street. Every money spent was worth it. Service was totally great, everyone was very pleasant and attentive to our needs especially Iin, Kadek and Manis. Hats off to them! The villa was well-maintained. The pool was very clean. The rooms were also cleaned twice a day. The place was very peaceful and comfortable. Food was also good. I would suggest adding more choices to the menu though. On another note, internet was down twice but was attended by the engineering department right away. For improvement, hotel toiletries. They only have shampoo, conditioner, body wash and hand wash. They should complete the basic toiletries like toothbrush, toothpaste, etc. Over-all, we will definitely come back and recommend the place to our friends and relatives. Staff are helpful and attentive. Feels like home! And not forget the view and infinity pool. Perfect, will definitely come again to this place. clean, staff polite, room area comfortable. swimming pool is clean and long enough to swim.Big enough to hold a party.